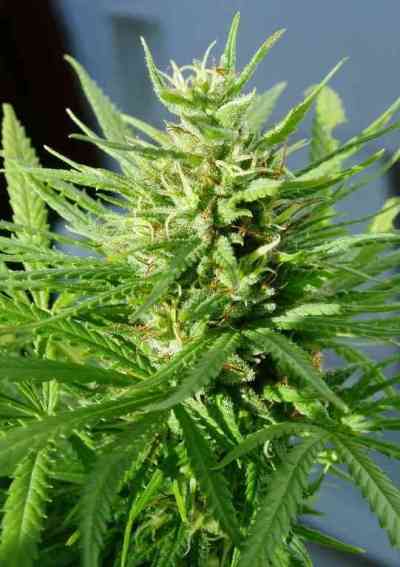 By pollinating the Old Malawi Killer with a refined F5 fruity and incensey Tikal, ACE Seeds has recreated Guawi: a pure sativa F1 hybrid of great vigor, yield and very high potency, that combines great african and american sativa genetics. This updated Guawi version improves all previous versions they have made up to date of this limited edition, which has only been available for short periods of time in the last decade. Tikal (with 75 % Guatemala sativa genetics) complements Malawi with a stronger, more compact structure, bulkier flowers and a shorter flowering time, improving also the terpene profile of the original Old Malawi Killer. We recommend Guawi to all growers looking for sativas of great vigor, high production, complex terpene profiles, and overpowering and long lasting psychedelic effects. THC concentrations are always high or very high: between 17-23%. Bouquet: complex, spicy, woody aroma, balanced with mango and incense aromas from our Tikal. Deep resinous and oily background. High: overpowering sativa effect, very complex. Strongly psychedelic at the beginning, with a long lasting smiling, hilarious and relaxing development. Growing Tips: It can be grown indoors without any problem, where enough space and medium/high or high light intensity is recommended to achieve the best results. Guawi is a sativa hybrid of great vigor, so bear in mind that it doubles its size when it is flowered from seed, and it stretches approximately 50% when is flowered from clones. Excellent sativa for warm climates with warm or soft start of autumn. Outdoors and with long growing stages, the yield potential of this sativa hybrid is very high, developing a fir tree structure, with a large main cola and many strong branches.